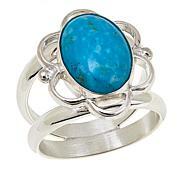 Spectacular "Andean Blue" turquoise from Chile is the star attraction of this chic, handcrafted ring. 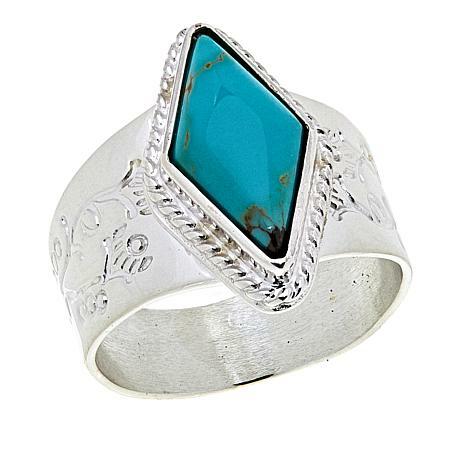 Hand-cut into a sleek diamond shape, this beautiful blue turquoise makes a stand-out statement piece you'll want to wear every day! 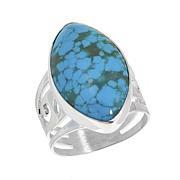 The Andean blue turquoise is more green than picture but turquoise can have more green tones too. Its more like a lighter turquoise color. I absolutey love it. It is my go to ring. I LOVE IT!BEAUTIFUL RING. This is a very pretty ring and very different from Jay's other rings. 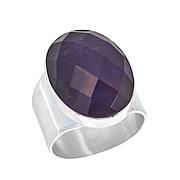 I really love it, and it especially looks good on a petite finger, I think. The silverwork is beautiful -- Just a real great purchase! 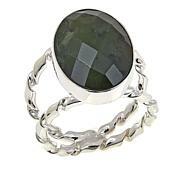 This i a beautiful ring...I have several pieces of Jay King and they are all beautiful and exquisite. I always watch Jay King when I can because I love to see what he has created. This along with all of the other pieces I have, is a favorite. Excellent and beautiful.